Train conductor operation (mishandling due to conditions, intoxication, falling asleep, etc.). Malfunctioning crossing lights and signals. How Do Most Train Accidents Happen? How Are People Injured In Train Accidents? Want To Learn More About Illinois Train Accident Lawsuits? There are a myriad of ways in which a train accident can arise. Here is a simple list of common circumstances. However, remember that many train accident claims can involve other situations as well. 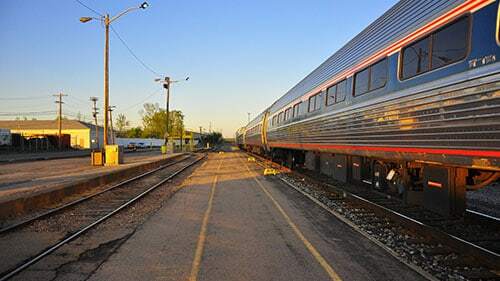 CROSSING ACCIDENTS: With thousands of railroad crossings across the state, Illinois pedestrians and vehicles are extremely vulnerably to harm. As noted above, these are often the setting for collisions, injuries, and even fatalities. The manner in which crossing accidents typically occur because of malfunctioning crossing lights, train operator negligence, or insufficient platform protections. The thing that makes this situation extraordinarily complicated is that between the train owner, train operator, station owner, and platform owner there can be multiple companies and that makes getting information and answers difficult. Normally, a claim stemming from a crossing accident is for negligence or a clear statutory violation. DERAILMENT ACCIDENTS: Derailment accidents often swallow up the headlines because of the sheer catastrophe. They are sadly not as uncommon as you might think and are normally accompanied with severe bodily injuries and property damage. Their mere existence is normally indicative of negligence but in these circumstances you still need well-seasoned lawyers to prove fault and injuries. Here, defendants will have a lot of resources and will use them to delay your trial and try and show that someone else caused your losses. You need to stop their obfuscation and extract compensation from them. COMMUTER ACCIDENTS: This category of train accidents includes the broad array of harms you might experience while riding on a train including being injured if the train crashes into something or if another passenger injures you. In these circumstances, you would probably be suing for a different variety of negligence such as negligent operation of the train or negligent supervision of passengers. However, it is important to remember that trains are considered common carriers because they transport people for profit; therefore, they have a higher duty to ensure that those people reach their destination without injury and if they do not there is a rebuttable inference that the company was negligent. 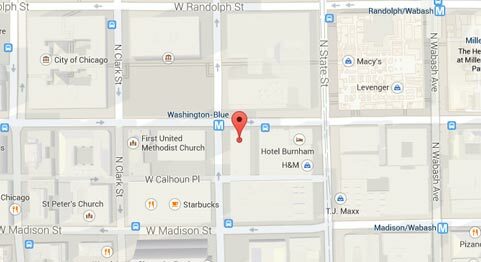 Look here for information regarding CTA train accidents. TRAIN AND VEHICLE COLLISIONS: Train accidents with other vehicles such as cars are very traumatic and costly. Practically speaking, they often occur at crossings when people do not notice or cannot avoid the oncoming train. Similar to regular crossing incidents, the principles of negligence will emerge in the form of complaints regarding the train's operation, platform's construction, or signal's malfunction. FELA CLAIMS: Federal law provides railroad workers relief if they are hurt on the job. The act that grants them these privileges is known as the Federal Employers' Liability Act ( FELA ) and it was passed in 1908. So, bringing a FELA claim is a largely a statutory maneuver but it can be very cumbersome and even foreign to an inexperienced lawyer. This delay will cost you time and money. Hiring a qualified attorney to swiftly execute your FELA claim is critical to preserve your workers' compensation relief. Look here for our railroad worker FAQ's. For information on settlements of FELA cases, look here. WHISTLEBLOWER CLAIMS: Many railroad workers are punished, demoted, or otherwise unfairly treated because they stood up and spoke out against unsafe conditions. This is unjust. If this happens to you, you deserve someone to stand by your side to protect your position and financial future. Rosenfeld Injury Lawyers LLC has helped other whistleblowers before and can make sure your rights are protected! Scars and other kinds of disfigurements. Herniated discs and other types of spinal injuries. Facial injuries including eye impairment. Of course, these are just some of the most common types of injuries in train accidents. If you are involved in one, you might find that you have suffered different impairments. However, this should give you a good sense of the seriousness that these events pose to your health and wellbeing. Rosenfeld Injury Lawyers LLC can help you decide what type of claim would bring the most amount of compensation under the law in Illinois. Then, we can fight for your rights at trial on contingency so you don't have to pay for our services unless you get the recovery you need. To get started today, call the offices of the Rosenfeld Injury Lawyers LLC.